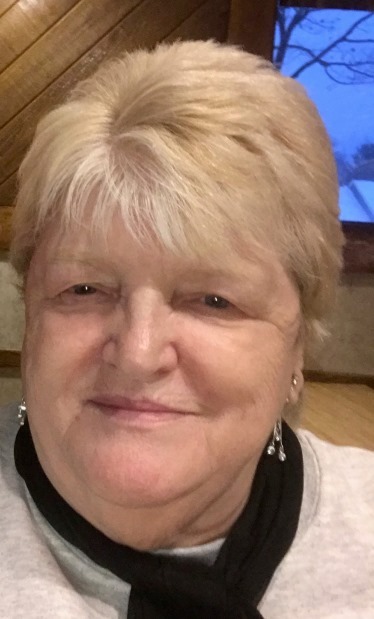 Lewiston, ME - Barbara E. (Deming) Sessions, 69, of Lewiston, ME went to join our Lord on Saturday, January 20, 2018 peacefully at her home. She was born in Lewiston, ME on February 24, 1948 a daughter of the late Frank and Fern (Brennan) Deming. She grew up in the Oxford Hills area, attending local area schools. For the most of her caring life she worked as a housekeeper with approximately twelve years of it joyfully working for owner and founder of Hawaiian Tropical Suntan Care, Ron Rice. During this time she met many celebrities and shared her stories for years. Barbara had a love of playing bingo at Loaves & Fishes in Lewiston with her daughters and friends. She enjoyed spending time with her children, grandchildren and great grandchildren. Family meant everything to her. She took great pride in decorating her home with nautical décor. She was loved and cared for by many lifelong friends. She is survived by her soul mate Alfred Turbide of 34 years of Daytona Beach, FL, two daughters Nancy Sheffey and her husband Bobby of Ponce Inlet, FL and Kimberly Rose and her husband Tom of Turner, ME, and her loving daughter-in-law Teresa Sessions of Oxford, ME as well as many grandchildren and great grandchildren. She also leaves her sister Marion Brackett and her husband Jeff and two nephews all of Oxford, ME. She was also the mother of the late Scott, Dwayne and Julie Sessions. Relatives and friends are invited to attend a celebration of her life at First United Pentecostal Church, 715 College Street, Lewiston, ME on Saturday, January 27, 2018 at 2 p.m. A gathering will immediately follow in churches fellowship hall.